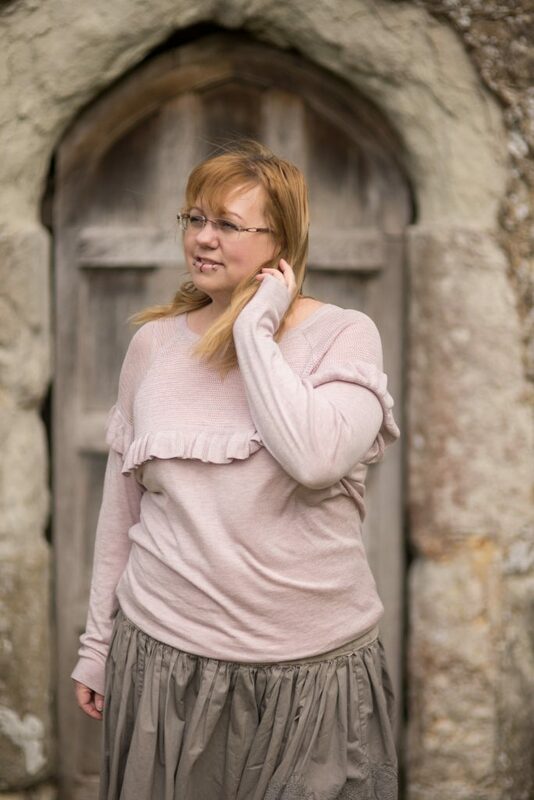 The blush pink jumper is from Next. 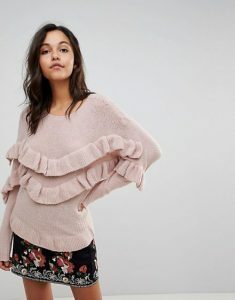 I love ruffles and I’m so glad that trend isn’t going anywhere. 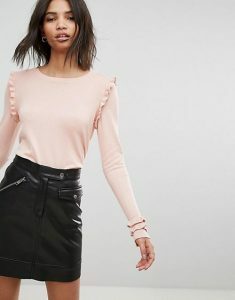 This line of a ruffle gives the top a bit of a modern twist to the look. 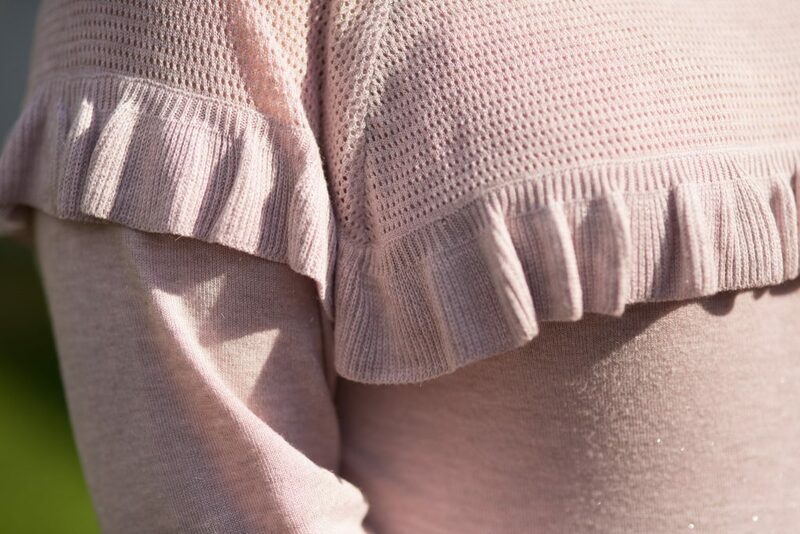 For an extra touch of prettiness, there’s also silver thread woven into the jumper for subtle sparkle and a bit of fun. Even when I grow up, I’m always going to like a little bit of sparkle! A close-fitting jumper with a flared circle skirt is a classic 1950’s look. 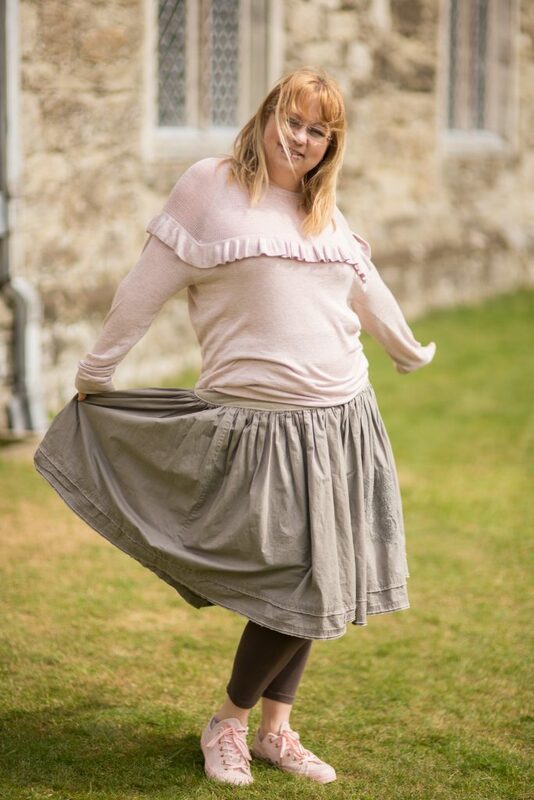 Rather than your usual zip fastening; this skirt is actually sewn onto a stretchy jersey waistband. This makes it very comfortable, and perfect if you’re about to have a big roast dinner, like we were! I bought the skirt at Glastonbury Festival at a stall called Bohemia. It’s a lovely brand and when they came regularly to the festival I’d always head there to do a bit of shopping! Look out for it if you’re attending other festivals this year as otherwise it’s mail order from their website as they are based in Sweden. 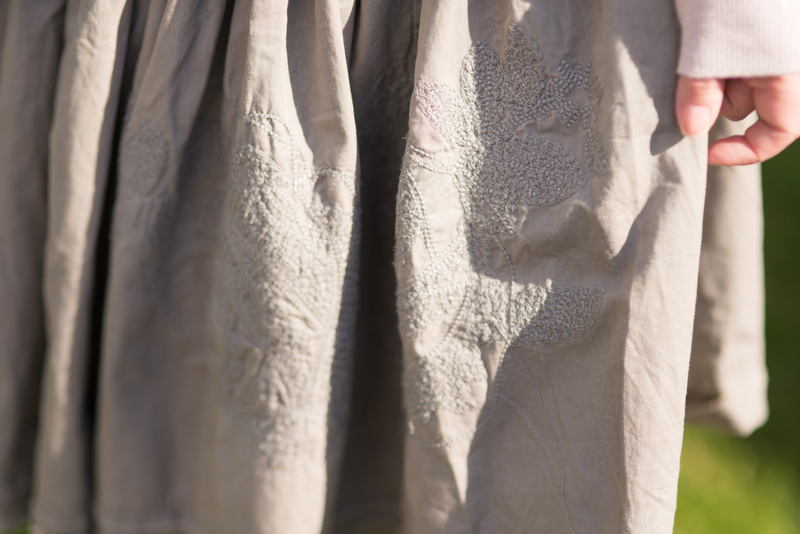 It doesn’t notice from a distance, but there is a lovely floral design embroidered into the cotton of the skirt on one side. I love these details that elevate an outfit. 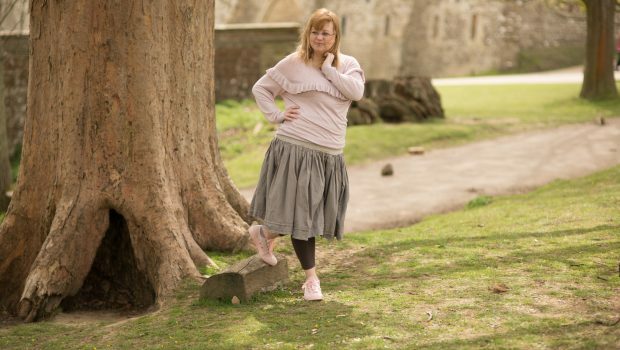 Although I was lucky with the weather that April, it was a still a little chilly so I wore brown leggings underneath. To be honest, the outfit would have looked better without them, but sometimes you just need to be warm! I wore my brand new suede Converse trainers that Chris bought me for my birthday present. 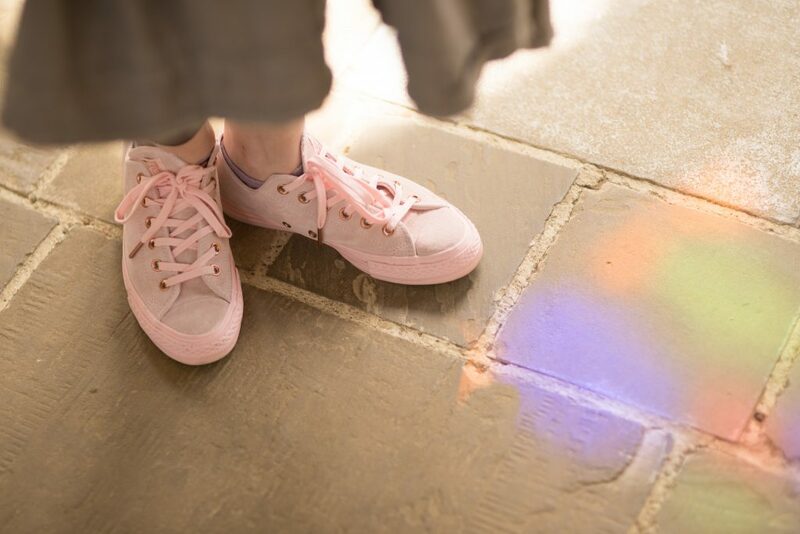 They’re in a beautiful blush pink colour with rose gold metal eyelets and aglets. I absolutely love them and have worn them loads since! PS. Do you know what aglets are?! 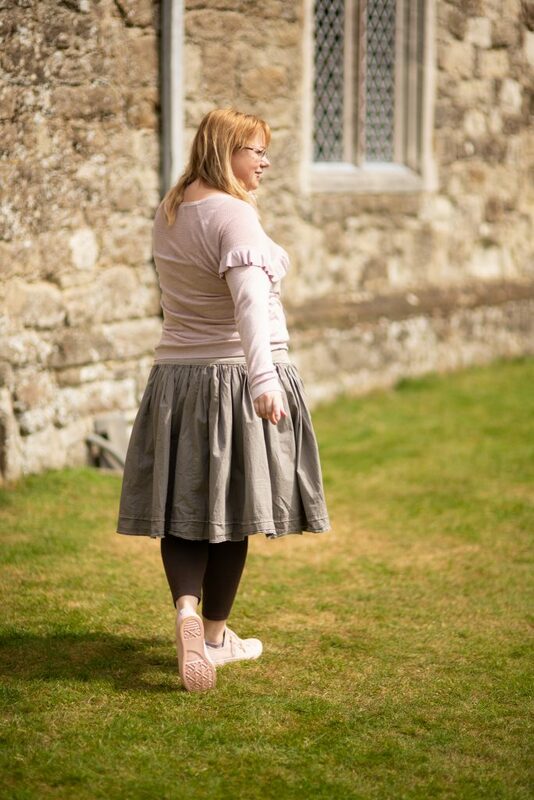 Linking with #iwillwearwhatIlike at Not dressed as lamb and #visibleMonday at Not dead yet style. I’ll be clinging onto the velvet trend until the heatwave that usually comes the week after Glastonbury Festival! 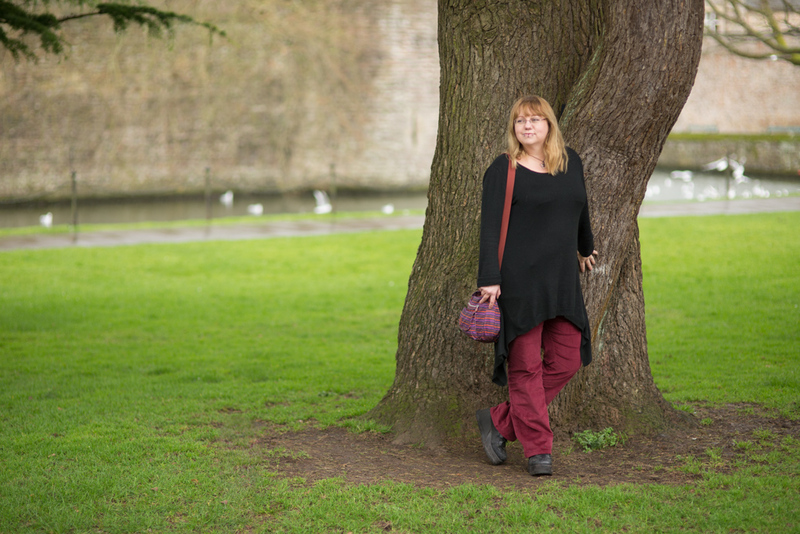 These velvet trousers were from the Joe Browns January sale, and I wore them for the first time last week when we popped into Wells to book our summer holiday. This is how I styled them…. 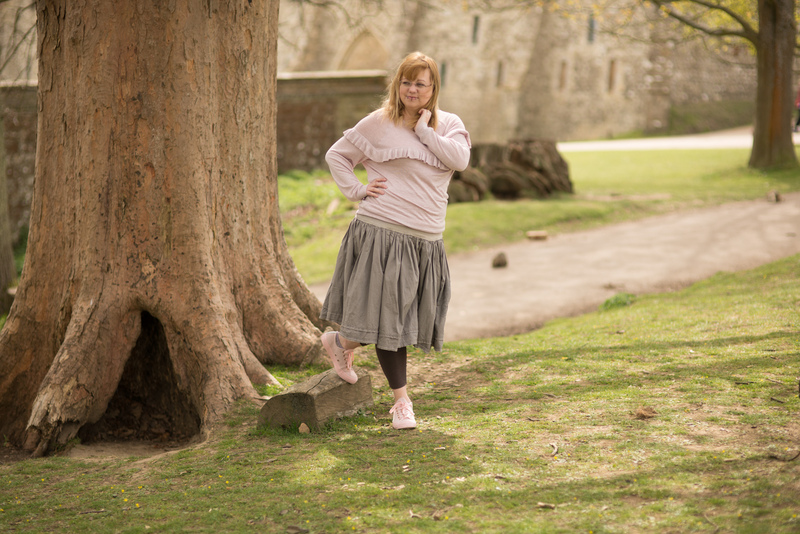 This fashion blog post is going to be divided into two halves. We took some photos for this on our Greece holiday last year in the blazing hot sun; and then we did another photo-shoot in January by an ice-covered lake in America with a cozy blanket thrown over my shoulders! 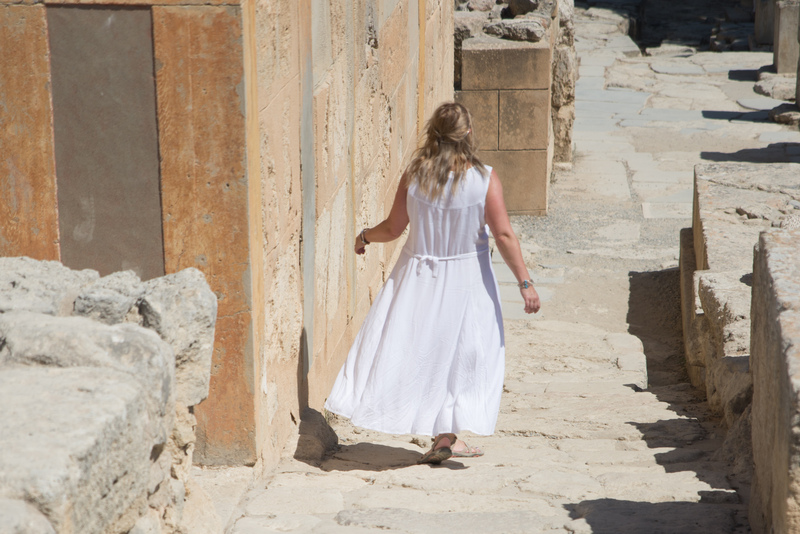 Anyway, better suited for this time of year, here is the perfect summer holiday dress….